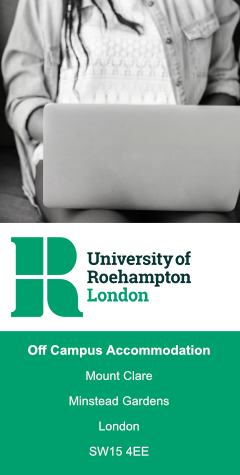 Studentpad and the University of Roehampton offer landlords the quickest and most cost effective method of advertising their property(ies) for let in and around Roehampton. Studentpad helps around 1 million students search for accommodation each year. Take the first step to finding your new tenants today. Payment to be made by Debit/Credit Card only. Please email offcampus@roehampton.ac.uk for the link to make the payment online. You will need to upload your current gas certificate, EPC Certificate, and Electrical Certificate for each property. Please forward your fire risk assessment, HMO License, and any other relevant documentation to the university address shown at the bottom of the page. Print and complete the following form and post it directly to the university including a copy of your current gas certificate(s), EPC Certificate, Electrical Certificate and fire risk assessment to the address shown at the bottom of the page.